For many RVers who live in northern regions where freeze warnings, wind-chill, and snow will soon become common verbiage heard on the local weather forecasts, late October and early November typically signal the end of the travel season for many RVers. That means it’s time to prepare the RV for possible harsh winter weather that may be approaching. What follows are steps you should take to winterize your coach and protect all of its vital systems, so the vehicle is ready to roll once the trees start budding out again. As most experienced RVers know, the most basic of all cold-climate concerns is freeze damage; specifically freeze damage to the onboard water systems. Therefore, the logical starting point of any winterizing procedure is the fresh water system. As anyone who has experienced a freeze break in the fresh water tubing can attest, this can be an expensive repair, especially if the cracked tubing is routed in an inconvenient location. So, protection of the fresh water delivery system is paramount when the RV is out of service during the winter months. Begin by draining all the water from the fresh system. All modern coaches are equipped with low-point drain lines for both the hot and cold fresh water systems. They may be in a dedicated plumbing bay, under the floor, or attached to the sidewall. They could even be located inside an interior cabinet at floor level. Opening both low-point valves and all the hot and cold faucets will quickly drain most of the water from the tubing lines in the coach. In addition, drain the fresh water storage tank and the water heater. 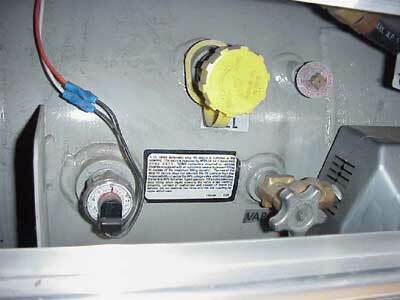 The water heater will be equipped with a drain plug or a valve accessible from outside the RV, behind the heater door. The point, obviously, is to eliminate as much moisture as possible from the fresh water lines throughout the coach. Do not forget about the water lines to the ice maker, the clothes washer, and the exterior faucet or showerhead if your coach is so equipped. It’s recommended that you disconnect those hoses and drain all residual water. The same thing goes for the toilet, the shower hose, and the water purifier, if one is installed. 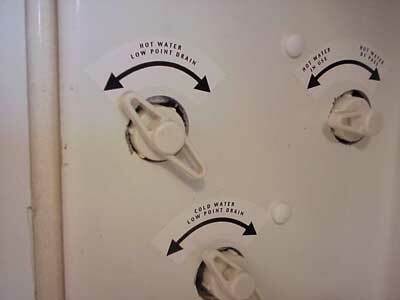 I’ve always recommended using a blowout plug connected to the city water inlet to assist in ridding the entire RV of water in all the lines (such plugs are not recommended for use on an Aqua-Hot system). You can purchase one of these at any well-stocked RV accessory stores or online. Just be sure to use clean compressed air! 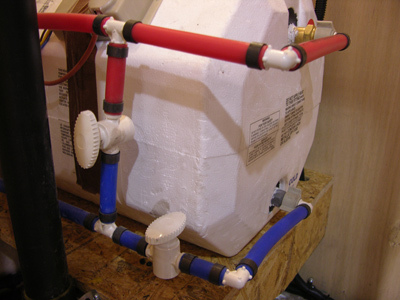 You can choose to simply leave the fresh water plumbing lines and all fixtures void of liquid (dry method), or employ what the RV industry calls the wet method. I recommend using the wet method if sustained below-freezing temperatures are expected. 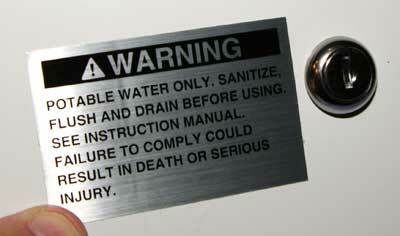 This involves the use of RV antifreeze and does not require the absolute removal of all existing water. But I must emphasize that you should use RV antifreeze approved for fresh water applications. Every season I receive a cache of emails from dismayed RVers who inadvertently used automotive antifreeze solution. The easiest way to fill the fresh water lines with RV antifreeze is to use the on-board water pump. But first, locate and understand how to operate the water heater bypass valves. If your water heater is not equipped with a bypass kit, have one installed; they are relatively inexpensive and worth the effort. 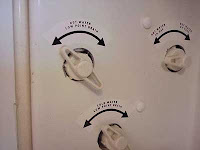 A water heater bypass kit contains one, two, or three separate valves, depending on the brand. It doesn’t really matter which brand you use, but I recommend one that contains brass or metallic valves. The less expensive plastic valves seem to have a higher failure rate, according to RV service techs. 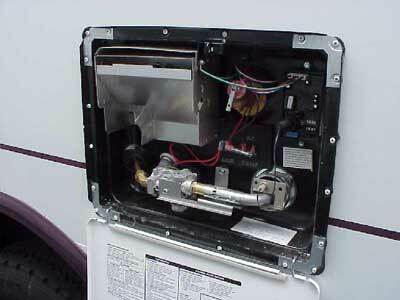 All bypass valves will be located at the back of the water heater, which can be accessed from inside the RV. When filling the system with RV antifreeze, just add a few gallons to the empty fresh water tank and turn on the water pump. The size of your particular plumbing system will determine exactly how many gallons of antifreeze will be needed. With the water heater in the bypass mode, you won’t be adding antifreeze to it; just leave it empty and lightly thread the drain plug in place. Pump the antifreeze into the system until the colored liquid appears at every faucet and fixture. 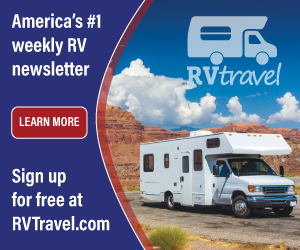 When using RV antifreeze, disconnect or bypass the water purification system (if your RV has one), as some filtering media may be damaged by the solution. It also is best to avoid purging the ice maker with RV antifreeze, as the taste may linger for a long while in the mold. When the colored antifreeze appears at each faucet, the showerhead(s), the toilet, and the city water entry, close the faucets and turn off the pump. This method ensures that antifreeze is protecting not only the fresh system piping but also the water pump itself. You also need to protect the black and gray water tanks. Flush and clean all the holding tanks and ensure the termination valves operate smoothly. If necessary, disassemble each valve and lubricate the “O” ring seals and sliding blade with a product such as Dow 111 grease. Doing this step now will make your dewinterizing task much easier come spring. After the tanks are evacuated and clean, pour a gallon of RV antifreeze down the toilet and through any drain that empties into the gray water tank. There should be enough antifreeze to cover the complete bottom of each tank. As an alternative, it is permissible to use windshield washer fluid in the gray and black holding tanks to save on the cost of RV antifreeze (check for possible local regulations against this, however). Windshield washer fluid will not harm the tanks, the drains, or the valves. To retain and protect the water seal in the P-traps, pour 1/4-cup of RV antifreeze or windshield washer fluid down each drain. Probably the second-most common concern with cold-weather storage of a recreation vehicle is the accumulation of moisture and the resulting damage caused by mold and condensation. Every RV contains under-insulated areas, primarily at the windows and slideouts. That big window that you appreciate so much on a bright spring day can become an energy-sapping liability during a harsh winter. One way to combat the heat loss through condensation-prone, single-pane windows is to cut matching sections of 1-inch-thick Styrofoam into window inserts. They can be taped in place. 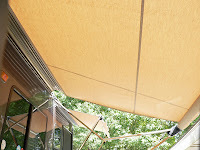 The inserts also will block all sunlight from entering through the windows, which can fade furniture and fabrics. New weather-stripping can be applied to the entry door, compartment doors, and all windows. Inspect all seals to ensure their integrity and sealing capability. Rubber seals do become distorted and wear out. Check closely the seals around the slideouts, specifically the seals that come into play when each room is fully retracted. It is not recommended to store the RV with the slides extended. Inspect the front firewall, as well as the complete undercarriage, for openings and gaps around wiring harnesses, plumbing drains, propane tubing, etc. Seal all gaps with caulking or Eternabond tape. 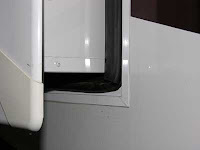 Any air leak can contribute to the accumulation of moisture inside the coach. Plus, sealing off such openings and gaps can eliminate the potential for critter infestation. Be sure all roof vents are tightly closed. Replace the weather-stripping around these vents if necessary. I’ve always thought it’s a good idea to construct a small plywood box to fully cover each 14-inch roof vent in case snow levels exceed expectations. 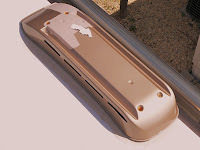 Wet, heavy snow can crush the relatively soft, plastic roof vent covers used on some RVs. It’s also recommended to install a fabric-type cover over each of the roof-mounted air conditioners to protect the shroud. 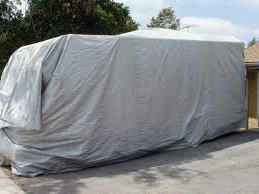 Consider adding a total coach cover — one made of breathable material — for lengthy periods of nonuse in harsh climates. Be sure the exterior range hood vent flapper door is securely shut and properly weather-stripped. The bottom line is that you want the entire RV to be as airtight as possible. Next, let’s focus on the propane system, beginning with the container itself. During any long-term storage situation, always fully turn off the container(s) at the container valve. Prior to winter storage, however, have them filled to capacity, keeping in mind that all LP-gas containers can be filled only to 80 percent of their total storage capability. The fuller the container, the less likely condensation will form on the tank walls. Disconnect the propane regulator assembly from the service valve, then cover it with a small plastic bag so moisture and insects cannot enter. 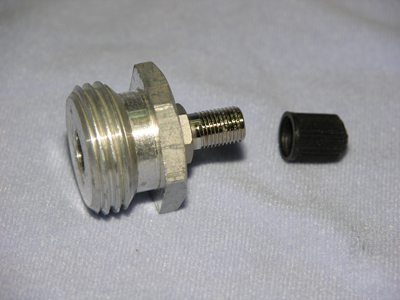 Cap or tape off the outlet portion of the service valve. 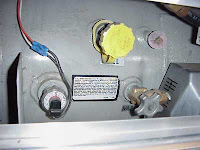 Deactivate the LP-gas detector inside the RV. 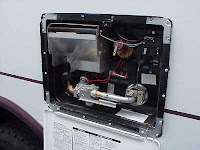 Moving on to the four gas-burning appliances (water heater, refrigerator, furnace, and cooktop/oven), it’s always wise to clean and service each appliance prior to storing the RV over the winter. As I teach in my seminars, this will reduce the time needed to get the coach ready for travel when the warmer months arrive. Plus, it will reveal any issues that need to be taken care of prior to putting the appliances back into service. Be sure each appliance is completely turned off during any season of nonuse. Aside from possibly adding the bypass kit to the water heater and flushing out all mineral deposits, there’s not much to do other than to drain the heater completely and screw in the drain plug or anode rod just finger-tight. If you have an electronic DSI water heater, you may want to remove the circuit board and store it in a warmer environment, especially if you are expecting subzero temperatures. At the refrigerator, clean and dry all areas inside the freezer and the food storage compartment. If the refrigerator has an icemaker component, perform the winterizing procedure recommended by the manufacturer. Place an open box of baking soda inside each section and keep each door slightly propped open. As was recommended for other plastic roof vents, it might be wise to build a plywood box to cover the refrigerator roof jack. Unless you can visually inspect the RV roof after every snowfall, you’ll need some way to keep the accumulation of snow and ice from cracking and breaking the plastic vent covers or falling into the void behind the refrigerator, where it can eventually rust the cooling unit components. Aside from making sure the furnace and thermostat are turned off, it’s recommended to use tape or aluminum foil to cover the intake and exhaust vents. Blowing snow can enter the furnace through the vent assembly; melt; and cause oxidation to permeate inside the combustion chamber. Since the range or cooktop is not vented directly to the exterior of the RV, there’s nothing much to do but make sure it’s clean and dry prior to the cold winter storage period. If you are expecting sustained below-freezing temperatures, the only reasonable thing to do with RVs batteries is to simply remove them, especially if they are the wet-cell, flooded-lead-acid variety. AGM batteries endure cold temperatures slightly better, but if it’s going to be that cold and you won’t be using the RV, take the time to remove them all and store them over the winter in a clean, dry location, if possible. If this is not possible, at the very least disconnect and clean each terminal connection. Be sure to mark exactly where the cables go! Fully charge each battery to reduce the water content of the electrolyte. Keep in mind that a fully charged battery will freeze only if the temperature dips to 55 or 60 degrees Fahrenheit below zero, while a discharged battery may freeze at or near 20 degrees above zero. To eliminate the possibility of a quick self-discharge, be sure the batteries are clean, dry, and free of dirt and acid buildup. Batteries will self-discharge over time; however, a clean and dry battery will self-discharge at a much slower rate. Battery sulfation also should be kept to a minimum. The best scenario is to recharge the battery from time to time during a long storage period. To avoid the risk of overcharging, do not leave the RV plugged in to shore power. Don’t forget to remove all dry-cell batteries as well. Minimal effort at the alternating current (AC) system will ensure a safe storage period. 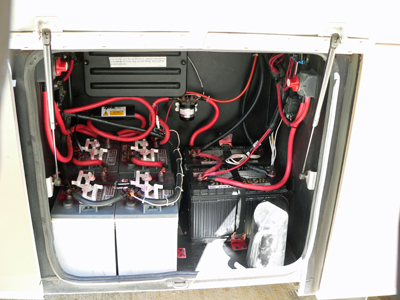 First, unplug the RV if you happen to have it hooked up to shore power at your stationary home or storage facility. Turn off all the breakers at the panelboard distribution box. As a safeguard against rogue lightning strikes and transient electrical maladies, unplug any 120-volt device that is plugged into a receptacle, such as the microwave oven, refrigerator, televisions, electronics, etc. 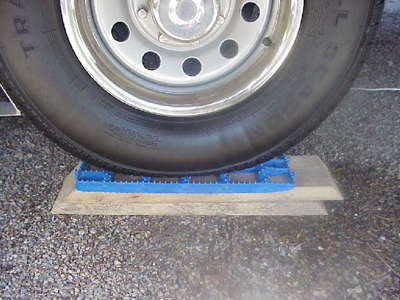 When storing the RV, take the weight off the tires and suspension by placing the coach on jack stands if possible. If the coach is equipped with HWH hydraulic leveling jacks, it is permissible to use the levelers to relieve the weight from the suspension. If the coach is outfitted with another brand, check with that manufacturer to be sure the levelers can be used in that manner. In addition, place a nonabsorbent type of blocking material under each tire to keep it from absorbing moisture from the ground. Always position the RV fairly level but with perhaps a slight lean to one side to help drain any water that may pool during rainstorms or snow melt. 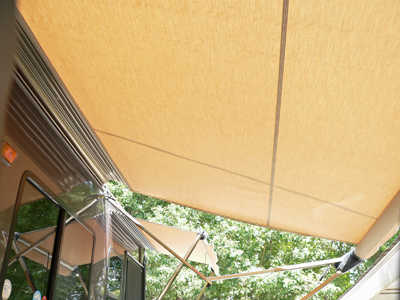 Before retracting the awnings on the RV prior to storage, be sure they are clean and dry. Eliminating dirt and moisture is a key element to minimizing mold and mildew growth. Finally, be sure to read the owners manual for your specific RV and to follow the instructions included therein, as the instructions might differ from those described here. By following these steps, you can be confident that your recreation vehicle is prepared to withstand whatever type of nasty winter weather Mother Nature has in store, so you’ll be ready to hit the road again when spring arrives. Remember, RVing is more than a hobby, it’s a lifestyle!